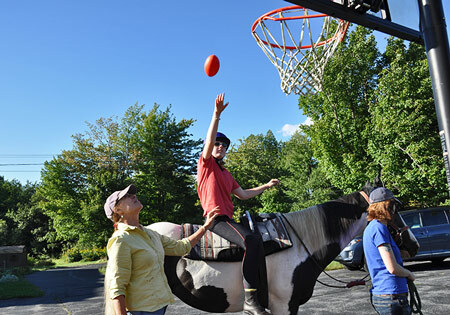 Hoof n HOPE provides equine assisted activities such as riding lessons with a focus on the balance seat and classical training of the horse, therapeutic riding, interactive vaulting (similar to gymnastics on horseback), and expressive arts programs. Our services are provided by Massachusetts State licensed riding instructor(s), with certification through the Professional Association of Therapeutic Horsemanship International (PATH Intl)., Centered Riding Inc., U.S. Pony Club, TTEAM methods, and Natural Horsemanship. Working in partnership with the horse, and volunteer(s), our clients achieve a safe, enjoyable, structured yet challenging learning experience. Equine-assisted activities will contribute positively to the cognitive, physical, emotional and social well-being. Participants perform movements on and around the horse. 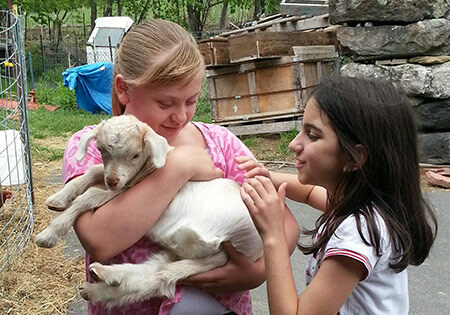 Through touch and observing animal behavior you will engage with our cute companions. This approach will make connections to nature through outdoor activities. Working in partnership with the horse, rider, and volunteer(s), our clients achieve a safe, enjoyable, and structured learning experience, that challenges them creatively, increasing self exploration while aiding stress reduction, self confidence and creative problem solving through appropriate activities, games and learning opportunities focused around the horse or pony. We are committed to increasing knowledge of the benefits of the human-animal-nature bond through educational programs, newsletters, research and publications with a future goal to conduct grants funded research studies that measure and compare brain mapping of pre and post program participants; and to study animal/human behavior (anthrozoology) by using both descriptive and experimental methods under natural and controlled conditions. Horses provide a unique neuromuscular stimulation when being ridden through their one of a kind movement. Horses move in a rhythmic motion that mimics the human movement of walking. While riding, the horse’s stride acts to move the rider’s pelvis in the same rotation and side-to-side movement that occurs when walking. This motion of the horse’s gait addresses rider’s proprioception, strength, balance, coordination, flexibility and confidence. The rhythmic, regular hoof steps of the horse helps to regulate a rider’s anxiety, allowing the rider to experience a sense of calmness and relaxation. The act of caring for a horse including grooming and groundwork exercises require personal behavioral control, instills observation of and appreciation for animals’ natural behaviors, and offers a relaxing and calming effect. Often, exercising with machines focuses on one muscle group at a time and do not incorporate other natural body movements, where as riding requires the rider to make use of their whole body to steer and control the horse adjusting independent body parts to maintain balance. The process of building horse skills requires developing physical and cognitive aptitudes; therefore riding reveals the strengths and weaknesses of the rider. Some traditional therapeutic practices reach a plateau where the patient may lose motivation, where as the joy and challenge of riding acts as an incentive to riders to work through pain, fear, or discomfort to achieve that wonderful reward: feelings of achievement! The act of accomplishing something many able-bodied people are afraid to try is a benefit to those with disabilities in itself. 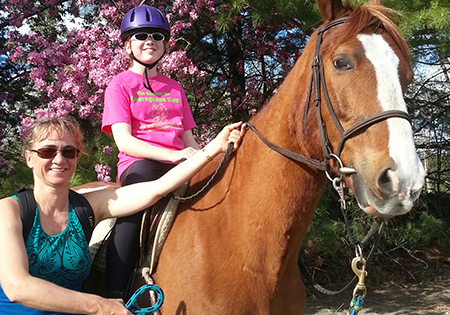 Therapeutic riding with Karen has always been the highlight of the week for our daughter. Her time on top of Chloe is so joyful and full of fun that she wished she could ride every day. Our daughter has been improving after only three months of therapeutic horseback riding. We are so grateful. Thanks Karen! We had never imagined what horses can do to our son. He started talking after six months of riding. 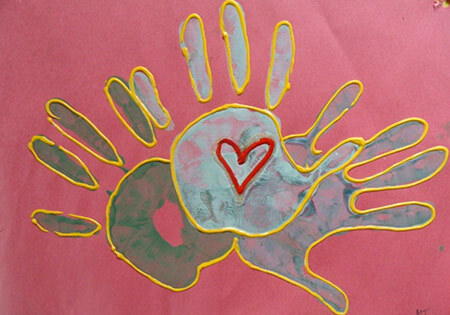 Hoof n HOPE provides an interdisciplinary model of therapy services for children eighteen months of age through adulthood who are at risk emotionally, cognitively and/or developmentally in order to promote functional gains and achieve goals.